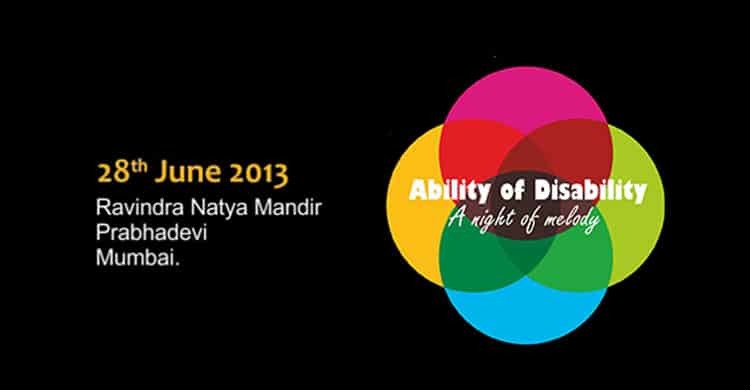 Ability of Disability – A Night of Melody was an event that showcased performances by artistes who are disabled. The event also had performances by many singers including our very own Indian Idol, Abhijeet Sawant. The musical event was organized by Her Highness Sheikha Arwa Al Qassimi and the proceeds will help Sightsavers in its vision to eradicate avoidable blindness and provide equal opportunities for persons with visual impairments and disability. We had the privilege of the presence of the Consulate General of UAE, Mr. Mohammed Yusuf M Al Awadhi, and Dr. Garimella Subramaniam from the Hindu as our chief guests. From Sightsavers, Ms. Elizabeth Kurian, Director of Global Advocacy, and Mr. R N Mohanty, CEO (India) graced the occasion. We thank all the singers and Abhijeet Sawant for a spirited performance. A special thanks to the group from UDAAN who enthralled everyone in the audience.